Vinegar has so many household uses; it is considered a staple in any natural household. But when you combine it with the magic grease busting, anti-oxidant having, and delicious smelling orange, something wonderful happens. Orange Peel and vinegar is a match made in heaven. Of course, orange vinegar makes an amazing natural all-purpose cleaner. It can be used to clean almost anything in your house with great results. 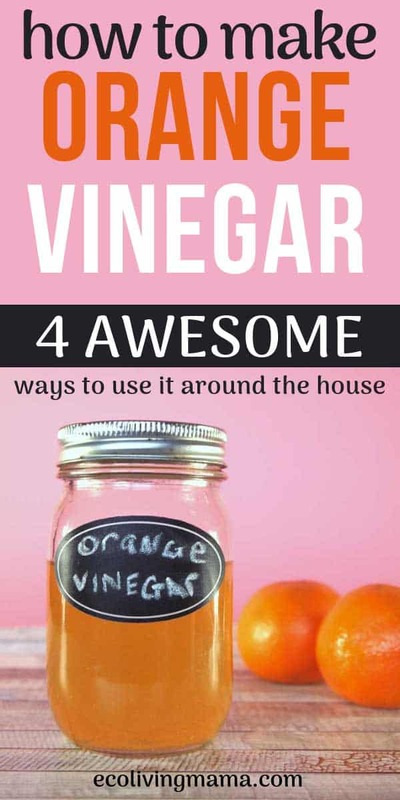 But orange peel vinegar is useful for other things around the house besides cleaning as well. I’ll get to that in just a moment. First we need to go over how to make this wonderful concoction. To make your orange peel vinegar, all you need is orange peels and white vinegar (are you shocked?!). 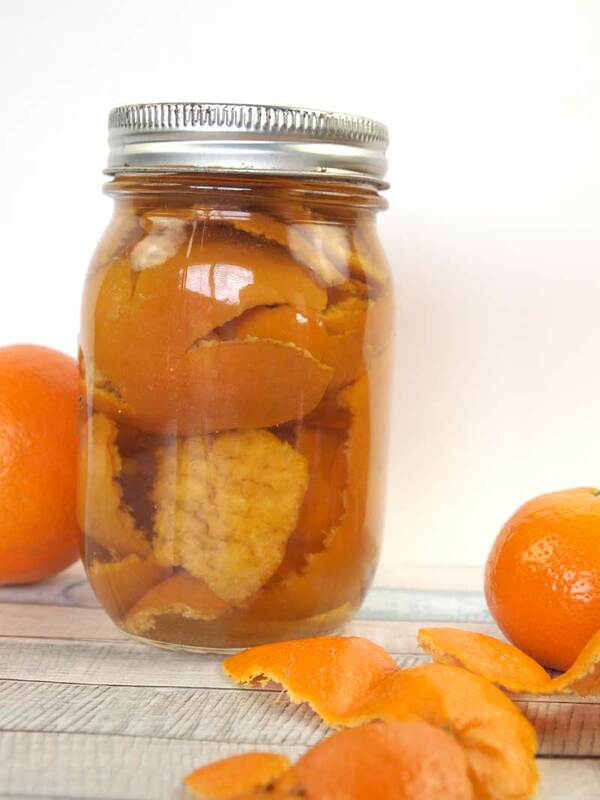 Fill a mason jar with orange peels (after you’ve eaten the fruit, of course!). Any type of orange will work for this. I typically use small clementines since my kids devour them and we have plenty of peels available. Cover the orange peels with white vinegar. Make sure the peels are completely covered and put a top on the jar. TIP: If using a metal top, make sure to place a piece of parchment paper between the lid and the jar. Vinegar erodes metal and will eat away at your metal lid. If I don’t have quite enough orange peels to fill my jar, I will add more for the next few days until my jar is full. If you do this, add extra vinegar as needed to make sure the peels stay completely covered. Leave your orange peel and vinegar jar alone for at least 2 weeks. I have a back section of my counter where I store whatever concoction I am currently infusing/brewing. A kitchen cabinet or your pantry will also work. 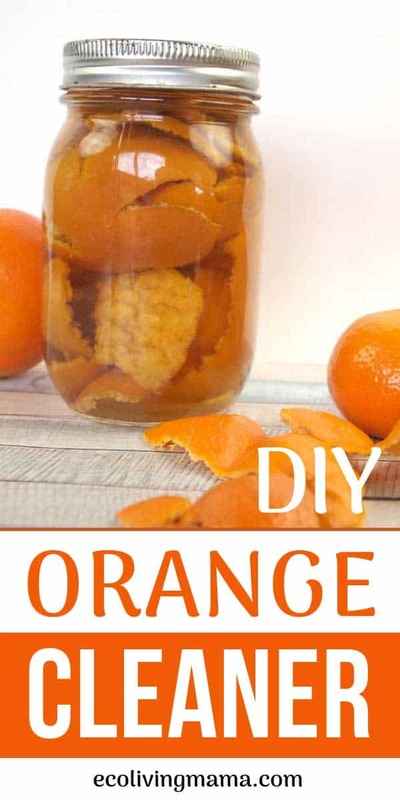 After 2 weeks, strain the orange peels out of the vinegar and put back in a jar or bottle. Most people just use their orange peel and vinegar concoction solely as a cleaning solution and call it done. But that’s just not my style. I love a good multi-purpose product, and vinegar is the king of multi-purpose products. And now orange vinegar is the queen. I’m going to show you how to use your orange vinegar for cleaning, ant killing, hair care and salad dressing. You’ll probably want to make a BIG batch. To use your orange vinegar as an all-purpose cleaner, mix with water in a spray bottle, half vinegar, half water. Use on counters, bathrooms, floors – this stuff works all over the house. NOTE: While it DOES smell like oranges, it also still smells like vinegar. So if cleaning with vinegar isn’t your thing because of the vinegar smell, orange peel vinegar won’t eliminate that. 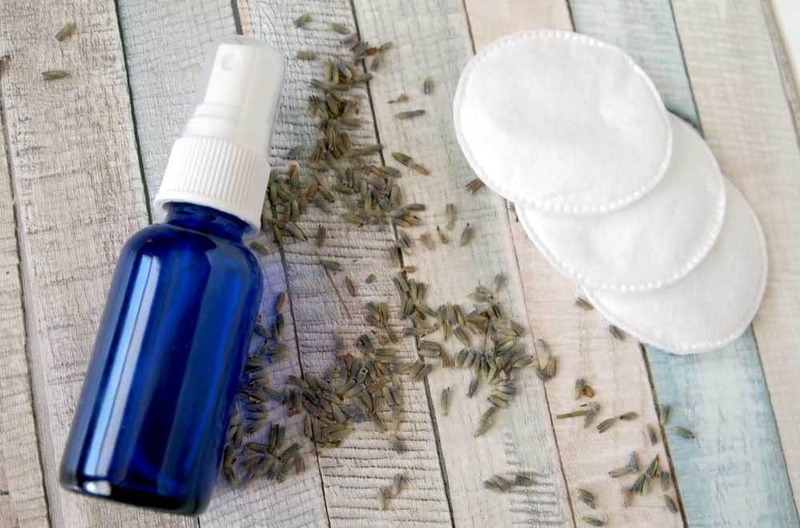 Check out this post from Get Green Be Well about how to use vinegar to clean your toilet. You can bet I’ll be trying this method with my homemade orange vinegar! The first time I made homemade orange vinegar I just so happened to have a giant ant mound taking over a small section of my yard. And another colony of ants SOMEWHERE outside the house that was slowly sneaking in through the back door in pairs and singles. I don’t like to use any chemicals in or around my house, so ants really like my yard. I’ve tried lots of natural ways to get rid of them, and usually the best I do is deterring them or convince them to move. Vinegar is a common natural remedy to get rid of ants and so is orange oil. So as soon as my orange peel vinegar was ready I immediately tested it on the ants. I’ve used this orange vinegar on ants outside the house in a mound AND to deter ants from entering the house. 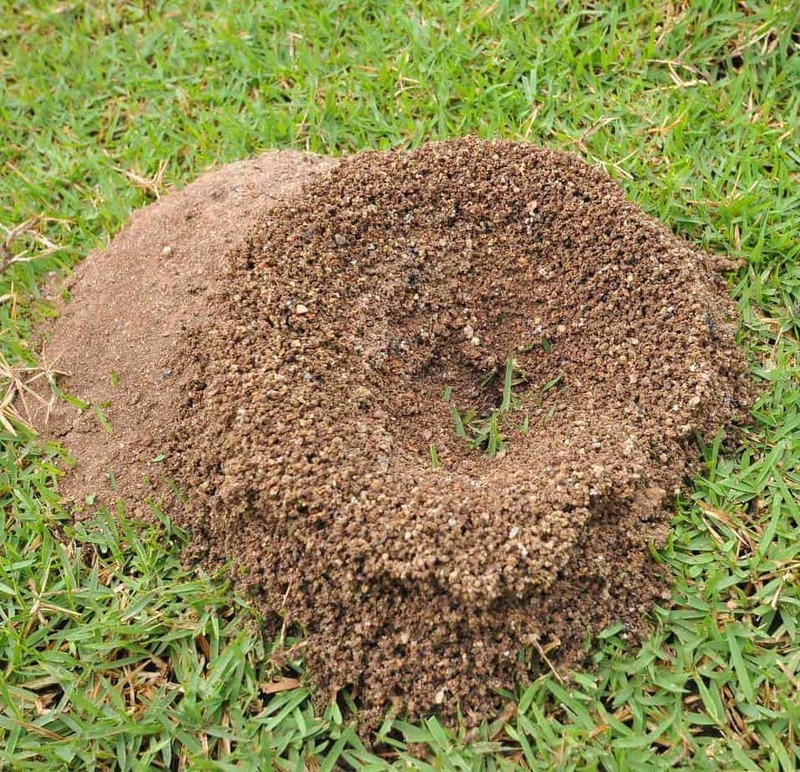 My favorite method to get rid of an ant mound is with boiling water. You heat up a big pot of water, dig a hole in the middle of the mound, and pour the boiling water in. It doesn’t always work for me on the first time though and sometimes I need to do the boiling water method several days in a row to get rid of the ant mound. I have also tried pouring straight vinegar on ant mounds before with some success, so I figured I should combine the 2 methods with my homemade orange vinegar. Heat up your big pot of water to boiling. Add in about a cup of orange vinegar. Put a hole in the middle of the ant mound and pour the hot orange vinegar and water mixture in the hole and all over the ant mound. This got rid of the ants the first time I did it and will be my go-to method from now on. 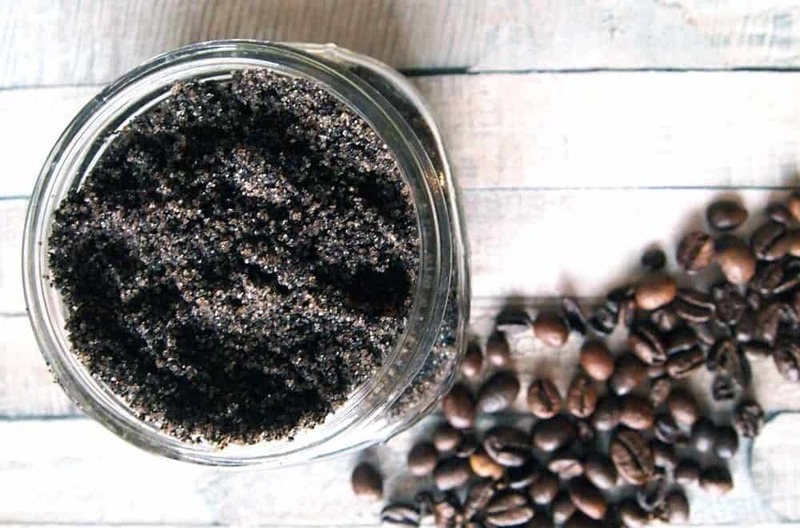 You can find more natural ways to get rid of ants in this post from Every Home Remedy. 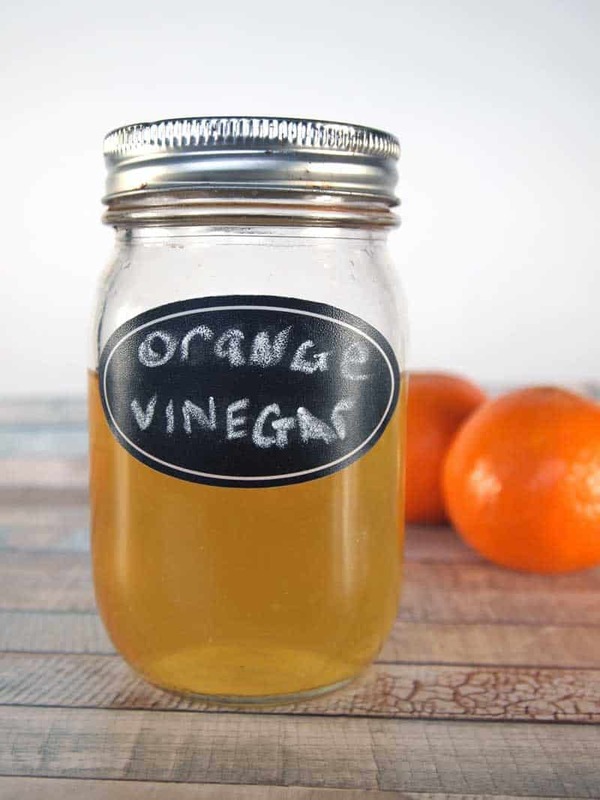 To use your homemade orange vinegar to deter ants inside the house is super easy. Simply mix equal parts orange vinegar and water and spray the mixture around the doors, windows or cracks where ants are coming in. Pro Tip: this is the same ratio as when you use your orange vinegar as a cleaner, so you can just use the exact same solution for this. Ants hate the smell of orange and the mixture will deter them from entering your home. This does NOT kill the ants (unless you hunt them down and spray them with it directly), but simply keeps them from entering your home. I like to make my mixture extra orangey and add about 10 drops of orange essential oil to the bottle before I spray. The orange scent does fade after a while, so you will need to reapply regularly to areas where ants commonly enter your house. I’ve used apple cider vinegar hair rinse for years to condition and soften my hair. It can be used in place of conditioner and helps eliminate buildup from hair. I recently discovered that white vinegar also works for a DIY hair rinse, meaning orange peel vinegar is perfect for rinsing hair. 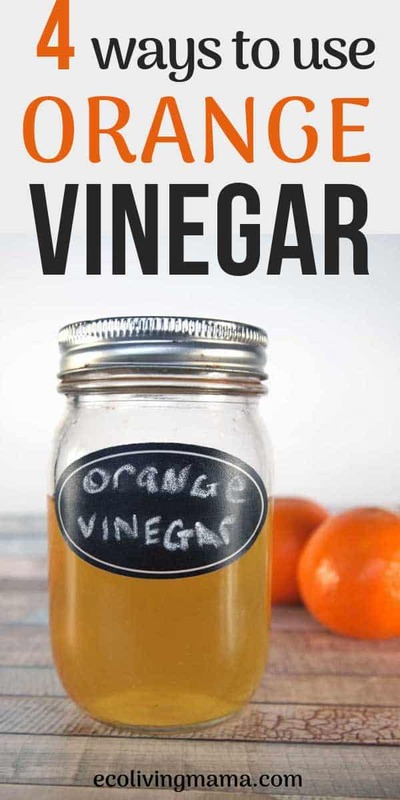 Mix 1 TBS of orange vinegar with 1 Cup of water. Use in the shower after you have shampooed your hair. Pour from the roots to the tips and gently work all through your hair. Use as much or a little as you need for your hair. Let sit for a minute or 2 before rinsing clean. No need for conditioner – this vinegar rinse conditions, detoxes and softens all at once. Pour your orange vinegar hair rinse into a squeeze bottle or spray bottle if you have one! It will make applying it in the shower much easier. 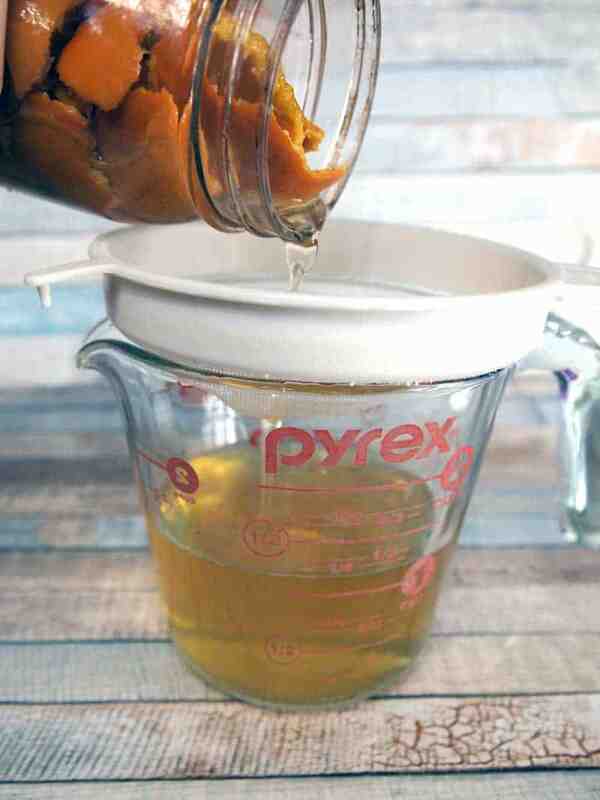 You can mix up a larger batch of orange vinegar hair rinse and store in your shower for easy use. I typically do about 3 cups of water and 3 tablespoons of vinegar at a time and store in a large bottle. I store for up to 2 weeks in the shower with no ill effects. 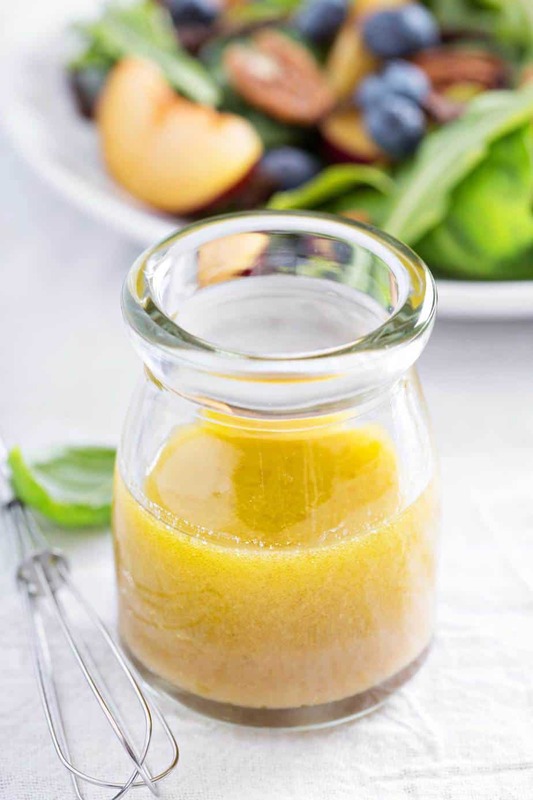 Your homemade orange peel vinegar makes a super quick and easy salad dressing! Whisk thoroughly until well combined. TIP: I like to mix salad dressing in a small mason jar. Measure ingredients into the jar, pop on the top and shake it until it’s ready. What is your favorite household use for vinegar? Try it with orange infused vinegar and let me know how it works!